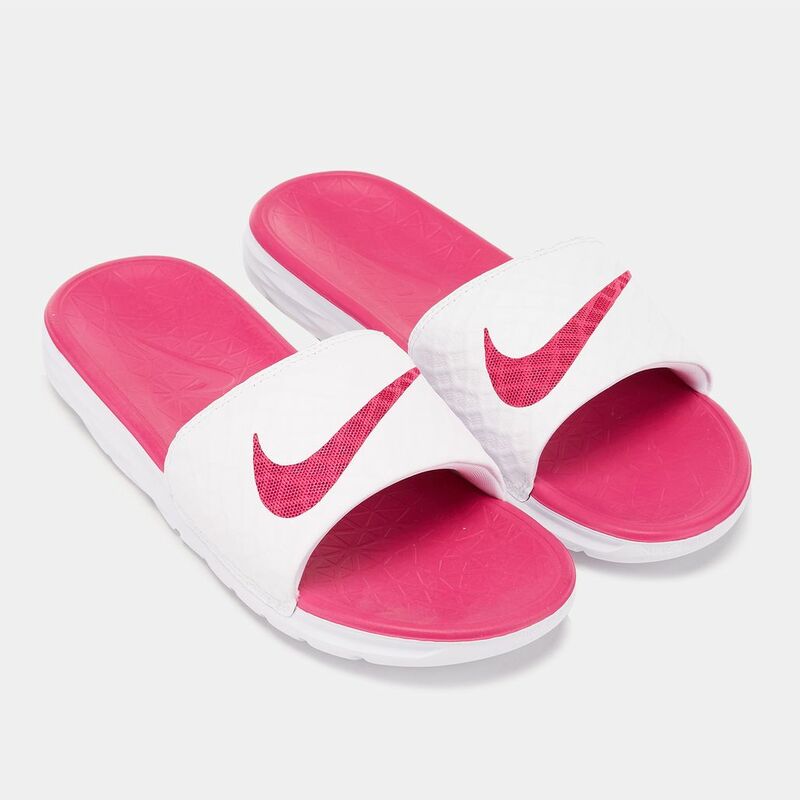 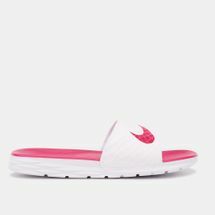 Let your sore feet recover from gruelling workouts with the Nike Benassi Solarsoft Slides for women. 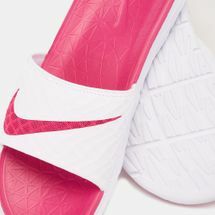 A dual density midsole helps you kick back and relax while the plush upper with a fractal design makes for a seamlessly stylish yet functional look. The sturdy traction pattern along the outsole helps you to always find your footing as you make your way from the showers to the locker room in style.